Bali Dec 31: People came from far and wide to celebrate new year with us. Canada, France, Holland. Australia, Java, Sumatra and Lombok were all represented. Rainy season is fully underway across the Indonesian archipelago. Heavy rain has been reported across the country, with heavy falls in Ache, hindering Tsunami rescue efforts. Jakarta and Java has been awash and Bali has had spot flooding in the lower areas. After heavy rains on Monday Jamal's home village was flooded. he night with water sloshing under the bed. Constant SMS's were being received at the KHO by Jamal with updates as the water rose. After the discovery of thousands of counterfeit Rp 100,000 notes in circulation, allegedly produced by Bank Indonesia employees, the bank has issued a new Rp100,000 note featuring founding president Soekarno and vice-president Hatta. Bali: At least 14 tourists, including seven expatriates holidaying on Bali resort island, drowned in Kuta beach last year, an official said on Friday. Another 309 domestic and foreign tourists were rescued while swimming at the beach. stopped after the Dec. 26 tsunami, according to a shipping group. "There hasn't been a single attack in any part of the Malacca Straits since the tsunami," said Noel Choong, head of the Kuala Lumpur-based Piracy Reporting Centre. "If they were coming out of Aceh, we assume the pirates lost their boats." Pirates attack shipping in the Malacca Straits using speed boats, armed with machine guns. The KHO Jeep is in for a complete engine overhaul. The motor has been low on compression and burning oil, so time for a rebore. Head mechanic, Pak Made says the job will take about a week. The head will be rebored, pistons and other major components replaced. Singapore based budget carrier of Qantas Ltd, will fly to Jakarta and Surabaya, starting February. As yet no plans have been announced to fly to Bali. The other day Jamal rang a guy advertising land in Canggu. the beach, very safe position!" Bail Chamber of Commerce head, Gede Wiratha said the Rp 1,000,000 (A$150) FISCAL tax, payable by all Indonesians departing Indonesia, will be removed in March 2005. This contradicts Director General of Taxation's recent statement that there would be no change in 2005. Citizens of ASEAN countries, will no longer need visas when travelling to 10 countries in the region by the end of 2005. Ex Malaysian PM, Mahathir Mohammed went further proposing a single visa for entry to all ASEAN countries by foreigners. At the same time Indonesia announced it may extend the 30 day Visa on Arrival to 60 days. Final arrivals for 2004 show Bali set an all-time record for foreign visitors, 1.45 million, up 3.2% from 2000 The Asia Pacific Region dominated with over ¼ of a million from Australia. ASEAN visitors increased 150% while, US and European still down 33% & 37%. Air Waggon Air (AWAIR), started flying in Indonesia in 2000 with 2 Airbus 310 aircraft. In 2002 they ceased operations and returned the aircraft to the lessors who stored them in the Mojave Desert, USA. Air Asia, the aggressive low cost Malaysian Airline, have revived AWAIR. Air Asia purchased the defunct airline for a nominal fee to gain it's Domestic Air Operators certificate. In order to abide with local ownership rules Air Asia owns 49% of AWAIR, with the majority share holding held by Indonesian nominees. The airline leases 2 Boeing 737 aircraft from Air Asia. The Balinese New Year or silent day this year is from dawn on Fri Mar 11 until dawn Mar 12. Everybody must stay indoors and not show any light during the 24 hr period. calcium deposits, nobody seemed to know. Then I tried a Google query on the internet, I just got commercial cleaners, then I had an idea add 'Grandma's remedy' to the query. Success! The answer "Vinegar." Immediately I tried it. Presto! it really, actually, works. KHO Town water supply comes from the government PDAM. The water is drawn from a huge deep bore and pumped to the houses. We pay no water rates but receive a monthly water account for around A$8 p/month. In case of supply interruption we have a 500 litre stainless steel tank on the roof. Bali Tourism chief, Gede Nurjaya, said foreign investors should look to invest in modern medical facilities in Bali rather than hotels. There is already an over supply of hotel rooms, +/- 35,000. Investing in medical facilities makes sense when you consider the ageing tourist population who visit Bali. A neighbour cut down a tree in the vacant block next door to the KHO. In doing so they broke the power lines. Jamal called PLN, the electricity company who responded in a record 15 minutes. Jan and Eugenia van Halen. Who were of Dutch-Indonesian decent. The family moved to the USA 1962. Later Eddi and his brother Alex formed the group Van Halen. Tony, there are a'la carte pasta's - spaghetti, gnocchi & ravioli. The pana fungi sauce is the best. From the counter a variety of italian dishes, prices range from Rp 5,000 to Rp 20,000. The place is packed and it is advisable to book a table if you wish to have dinner after 8pm. For bookings phone 74 5430.
run by Nina and her friendly staff, it is mainly patronized by ex-pats. They have a home delivery service and a high-speed Internet Café. Breakfast is great value, full American Breakfast Rp 26,000. (A$3.50) The menu features Thai Stir-fries, Soups, Guacamole, Taco's, Ausie steak, fabulous Foccacias, Pasta, Pizzas, Salads and arguably the best Hamburger in Bali. Home delivery phone 73 6026. Saturday we were the guests of Mr Norman Rowe at his Bali Mystique Hotel for dinner in their newly opened Sunset View restaurant. We were joined by Stella from Venice and Di from Perth, who were both guests at Hotel Mystique. For entree we shared an anti pasta, breads with olive oil, & olives and Norman's favourite potato wedges. Stella couldn't resist the pizza, said it was 'very good' She should know being from Italy. Di had the beef, said it was brilliant. Jamal had the Spaghetti Marinara, he judges restaurants on their ability to cook spaghetti, 'enak sekali' said Jamal. is Balinese, however has had considerable experience overseas. The atmosphere is sophisticated but relaxed. With a little encouragement, Norman might tinkle the ivories and play some Cole Porter for you on his grand piano, the centre piece of the restaurant. Bookings 73 0465. Living is Bali is not always the paradise it may seem to the average tourist. Living here presents many problems and frustrations. I guess the same as everywhere, but how would you handle this one? The locking mechanism on the back door broke and would no longer lock. I pulled it out, opened it up, it was un-repairable. Off to the local hardware store for a new insert. Shop two:- "Oh yes, we have this one." Well, it was a closer fit, but a totally different kind, with no opening for the handles or the square peg to fit. Price $5.20. Shop three:- The expensive Chinese hardware frequented mainly by ex-pats. The girl says "Yes we have that one out the back,"
ask the boss how much?" .... "Oh ok." Off she goes. 5 mins. later, she returns, "that will be $16"... "That's expensive" ..she agrees & says "But, it's a real one!" If you want a good price at the Chinese hardware, don't interrupt the boss during his lunch break. Jamal and John. We spend an evening at the OK Café where they have a duo playing (back). As usual we stayed at Kerti Bungalows. Yong Fu, John's long time friend in Surabaya flew on Singapore Airlines, first class, with a tour group to Singapore for the new year break. 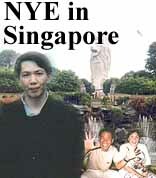 He celebrated New Year Eve on Sentosa Island. Yong Fu complained the fireworks were cancelled because of the Tsunami. Ines and Andi also travelled to Singapore with cut price carrier Air Asia, then on to Sentosa Island for New Year. Ines complained the fireworks were also cancelled and they wouldn't refund her $30 per person tickets. Apart from that they had a nice time. Ines and Andi also visited Penang and Kuala Lumpur for a few hours. Make bread into breadcrumbs with blender and place on plate. Blend egg, onion, salt & pepper in blender place in dipping plate. Place some plain flour on another plate. Beat chicken fillet with tenderizing hammer into thin fillet. Dip in flour, dip in egg mixture, dip in bread crumbs. Pat crumbs to chicken to make sure all the egg is absorbed. Keep in refrigerator until ready to deep fry. Serve with lemon, salad and French fries. The inspiration to name the Indonesian Satellite system PALAPA came from the Amukti Palapa Oath, sworn by Gajah Mada, The Prime minister of the 14th Century Majapahit Kingdom, who said : "When I have succeeded in the integrating the archipelago, I shall rest.". The launch of Indonesia's first satellite Palapa-A1 was July 9, 1976 from Cape Canaveral. Indonesia was the fourth country in the world to launch its own communications satellite. Not a mean feat for a supposedly "Third World" country. across the archipelago, using satellite receivers and VHF repeater stations for local reception. Many poor village's only had public Tv which was often mounted in an open area so in the evenings the villagers could watch. Indonesia. Renamed Palapa-B2R, the satellite was successfully relaunched in April 1990 aboard a Delta II rocket. Since 1976, eight satellites of Palapa series have been launched and and the later generation provided services that extend far and beyond Indonesia's boundaries. PT. SATELINDO as the owner and operator of Palapa-C, has played important role in developing the third generation of Palapa satellites. Palapa-A2, March 10, 1977 from Cape Canaveral, design life of the first Palapa-A series was 7 years. Palapa-B1, June 18, 1983 from Cape Canaveral, Florida, USA, replacing the Palapa-A1 satellite. Palapa-B2P, March 21, 1987, the replacement of the Palapa B2 which failed to reach orbit. Palapa-B2, April 14, 1990, the replacement of the Palapa-B1. Palapa-C1, January 31, 1996, from Cape Canaveral, using a Atlas launch rocket. Palapa-C2, May 15, 1996, from Kourou French Guyana, using a Arianne IV, replacing Palapa B2P at 113 degree East. In 2002 Telkom Indonesia placed a contract with Arianespace to launch Telkom 2, from Guyana, South America, in early 2005. Telkom 2 will replace Palapa B4. The Palapa B series were originally manufactured by Huges Systems Model HS376 later taken over by Boeing and becoming the B376. The satellite rotates at 7 RPM, while the dish remains in a stable position to the earth. several years ago. I think the time has come for the Howard Government to learn from that mistake, rebuild Radio Australia, so that if we are now engaged in doing good things in Indonesia, let's get the message out, and to do that, we've got to have the capacity to do it, and Radio Australia, because of the importance of short-wave transmission services as a means of receiving news across the region, is a very important national asset which must now be rebuilt." Soon after its election in 1996 the Howard Government cut the ABC's annual budget by $66 million. Radio Australia, the nation's voice to the Asia-Pacific, has been severely cut back through loss of funding and the closure and sale of the Cox Peninsula short-wave transmitter, the most powerful in Australia. The transmitter is now owned and operated by the British Pentecostal Christian fundamentalist group, Christian Vision, with station call sign, VOICE. Now Radio Australia is forced to rent 5.5 hrs a week from Voice. sectarian violence, pitting Christians against Muslims, who make the majority of the Indonesian population. Surely the last thing Australia should be doing is to lend its imprimatur, to a powerful radio voice propagandizing the Christian religion. Broadcasting Christian messages into countries such as Indonesia will do little to ease tension between Christian and Islamic communities originating from radio bands once occupied by Radio Australia." In 1939, the new war in Europe caught Australia unready and feverish attempts were made to launch a new international radio broadcasting service. The Prime Minister of Australia during the wartime era, Sir Robert Menzies, was born on Dec. 20, 1894. The date for the inauguration of "Australia Calling" just happened to be Dec. 20, 1939, the PM's 45th birthday. But that's not all. Another transmitter base for Radio Australia was also inaugurated on this same date, though in a subsequent year. Later the name changed to Radio Australia, the laughing kookaburra became the stations call sign. station located at Carnarvon, Western Australia in June 30, 1996. The station was very expensive to run because all its power was generated on site for several 300 KW transmitters. The first two transmitters, the 250 kW and the 100 kW Harris unit, were removed and sold for scrap. The third unit, 300 kW, was removed and re-installed at the Darwin radio base (later sold to VOICE). The 100 kw. transmitter at Carnarvon was moved to Shepparton in Victoria. Carnarvon is the 6th short-wave transmitter base operated by Radio Australia to be axed. Now radio Australia is limited to transmitting from its original WWII base at Shepparton Victoria, where there are 6 transmitters each 100KW all running 24 hours a day, mostly with English Language Programs. About 4 hours a day in total is Indonesian, but only on one, (and a little bit on two) transmitters. 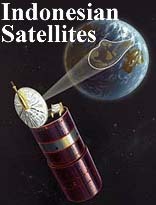 All Indonesian programs are also on satellite. PAS 2 & 8. There's only one offshore transmitter and that's in Taiwan. RA rents also 5.5 hours a day from VOICE. and communications operated by Radio Australia had the Overseas Telecommunications Commission. North of Canarvon is the wreck of the German raider, HSK Kormoran, which sunk the HMAS Sydney during WWII. The total company of 645 were lost from HMAS Sydney, whilst 318 survived from HSK Kormoran. Over the intervening years many have posed the question "how could this be?" In the course of the War at Sea over 1939-45, HMAS Sydney was the only warship to be sunk by an Armed Merchant Raider. It was very unusual for a Naval ship to be sunk with a total loss of her crew. Shepparton city situated in northern Victoria, Australia has a population of around 53,000 and is renowned for its fruit production. Radio Australia's transmission centre was built in Shepparton during WWII. Most of the original equipment was built by Amalgamated Wireless Australia. sophisticated communications receiver such as the KHO National Panasonic DR48. Very few Indonesian can afford a communications receiver or a satellite receiver to receive the transmissions from Pas 8.
people, on cheap, +/- $30 radios. Shepparton, Victoria, 1000's of miles from Asia and the Indian Ocean. Some people resort to building their own home made short wave radios from recycled components. The main coil is homemade and wound on a piece of scrap plastic pipe and it runs on 2 x 9 volt batteries. With a long outdoor aerial hung from a tree. The BBC, Voice of America and VOICE and many other international stations can be clearly received, but sadly the signal from Radio Australia is too weak to be received on a simple set. Before the Howard cuts to Radio Australia, each morning schools in Indonesia listened to the excellent Learning English program. Many of my friends in Lombok told me they learnt their English from Radio Australia before the signal disappeared in June 1997. VOICE International is the brainchild of Christian Vision, a non-profit charitable company broadcasting around the globe via stations in London, the USA, Chile, Zambia, Mozambique, Angola, East Timor and Australia. VOICE, previously known as Christian Voice, began operating in May 2000 with only two employees. and a few more employees were hired to begin the mammoth task of building VOICE, a world class broadcast centre, now the largest radio complex in Queensland and the second largest in Australia. VOICE now employs over 60 full time staff including the technicians operating the transmitters in the Northern Territory. VOICE is expanding at a rapid rate, with the potential to reach at least 2.8 billion people with the message of God and hope. The Christian Vision signal rockets into Indonesia loud and clear. On first listening to the station it sounds like an Australian pop station. Up to the minute music, news and current affairs. They clearly say the station is from Australia, no doubt leading people to think they are listening to Radio Australia. Last Sunday (Jan 30) I was listening to a Radio Australia Sports on 17.775 Mhtz broadcast from the Darwin station, then without notice in the middle of the programme, the station changed straight from Radio Australia to VOICE. Then comes the Christian propaganda cleverly disguised at first, then the message. No wonder Indonesians think this is Australian government propaganda designed to push western ways and convert people from Islam. If only the average Australian knew. Does Howard condone these broadcasts, or was it, just a case of take the money and run? was born in India in 1946, the son of a British wartime pilot, he started his business career as a bank clerk when 17 years old. He owns a multi-million pound West Midlands motor and property business with a turnover of £300+ million. He was brought up a Roman Catholic, "It was boring and totally irrelevant," he said. "I believed in God, in fact I feared Him and the thought of dying and meeting Him was dreadful" . But at the age of 17 everything changed. Bob was taken to a Pentecostal church. The thing that struck me immediately was that these people were happy. transmitter, to beam his message in to Asia, when Radio Australia should be doing exactly that, bringing education, unbiased news and current affairs to the region. unique tribute of a two minute silence by all radio stations throughout the world. AWA Australia was originally part of the Marconi company. Initially only a carrier wave signal could be sent from the Marconi transmitter. With the aid of a Morse key to trigger the transmitter it was possible to send a message. "lightning wires" and "Morse code", and applied for a patent in 1840. Later a line was constructed between Baltimore and Washington. The first message, sent on May 24, 1844, was "What hath God wrought!" Morse's original code consisted of combinations of dots and dashes that represented numbers. Each represented a word. This required looking up the number in a book to find the word it represented. of dots, dashes, and pauses that represented the number. Although Morse invented the telegraph, he lacked technical expertise. He entered an agreement with Alfred Vail who built more practical equipment. Vail developed a system where each letter or symbol is sent individually, using combinations of dots, dashes. When the sender Key is pressed down the battery is connected to the receiver buzzer, making the buzzer sound either a long or a short sound. E . L ._.. S ... Z _ _ ..
International Morse code is still in use today, although it is almost exclusively used by amateur radio operators. Until 2003 the International Telecommunications Union mandated Morse code proficiency as part of the amateur radio license. In some countries, certain parts of the amateur radio bands are still reserved for transmission of Morse code signals only. Since Morse relies on only a steady (un-modulated) radio signal, it requires less complex equipment than other forms of radio communication, and it can be used in very high noise, low signal environments. It also requires very little bandwidth, typically 100-150 Hz, and facilitates communication between amateur radio operators who speak different languages. Alexander Graham Bell was born in 1847 in Edinburgh, Scotland. He moved to Ontario, and then to the United States, settling in Boston, before beginning his career as an inventor. Throughout his life, Bell had been interested in the education of deaf people. This interest lead him to invent the microphone and, in 1876, his "electrical speech machine,"
Massachusetts and New York City. Bell's microphone was quite simple. It was full of finely powdered carbon. When the voice vibrated the carbon, the resistance changed resulting in the voltage being modulated with the voice. At the receiving end the electro magnet vibrated the Iron diaphragm in sympathy with the voice reproducing the sound. The first extended broadcast of the human voice was transmitted through the air on Dec. 24, 1906 from Brant Rock, Massachusetts. A Canadian engineer, Reginald Fessenden, who had worked for Thomas Edison invented sound radio. The Tom Thumb home built radio featured in the August 1947 Radio & Hobbies magazine, Australia. Radio City Music Hall, New York boasts 6,500 seats and is listed as the largest cinema in the world. I have attended shows there many times and was always struck by the amazing sound quality. The ribbon microphone was created in 1931 by RCA especially for Radio City. It revolutionized the recording and broadcast industry, setting new new standards in frequency response. The clarity and realism were unmatched by any of the condenser microphones of its day. Know as a ribbon microphone, it had a ribbon of steel stretched past a large magnet. When sound vibrated the ribbon a small electric current was generated and sent via a transformer to an amplifier. The mics were know for their excellent high frequency and bass response. Jan 18: Airbus showed the first A380 Super Jumbo to the world with a ceremony in Toulouse, France. The aircraft is expected to be flown by the end of February, a month behind schedule. The A380 will take over from the Boeing B747 as Queen of the Sky and become the flagship for many airlines. "The aircraft is over weight and over budget" says Reuters. Airbus claim they are fixing the weight problem by removing seats and offering standing room tickets. stretched version. Emirates want 150 extra seats ASAP, while Richard Branson from Virgin wants 90 extra wide pitch seats. Qantas announced they will run the standard 555 seat model with only 501 seats, to allow for union-rule crew sleeping areas. Singapore Airlines will take the first 4 aircraft. These aircraft will be used in the extensive 1 year test program for which SIA received a hefty discount. Airbus promise they will cut and polish any scratches and give the aircraft a free grease and oil change before delivery. Airlines say, with increased floor space they will provide bars, duty-free shops, gyms etc. They said that about the B747, 35 years ago? 'Come on, get real' they will just cram in more seats. With the introduction of Videotape, many afternoon variety, quiz and game shows were produced. Video Village, Make mine Music, Time for Terry and many others. The 1 hour afternoon variety show, Time for Terry, starring English comedian Terry O'Neil. The show ran for a few years against Tommy Hanlon's very successful show on opposition channel GTV-9, It could be You. Time for Terry - Joe Hudson, Ian Turpie, Olivia Newton-John, Terry O'Neil, Vi Greenhalf, Brian Naylor and Ivan Hutchinson. Time for Terry also featured a very young, Olivia Newton-John before she went overseas and became an International star. Channel 7 spent a lot of money on the show, to try and break Tommy Hanlon's grip on the time slot. dirty cigarette stained teeth, this revolts the housewives. We recommend you tell him to get his teeth cleaned. The horrified HSV manager retorted "I can't tell him that! - he is a big star", end of meeting. Dr Belsen flew back to England and was never heard of again. Eventually the Time for Terry folded and Terry O'Neil was never seen again. In the 60's Norman Spencer produced a number of Tv specials in which he produced on 16mm film as well as with studio segments. 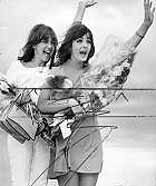 One of the first specials The June Bronhill Special featuring the Australian star on her triumphant return from London. Other shows were, the Pat and Olivia Special starring Pat Carroll and Olivia Newton-John, filmed in various locations around Melbourne. Later Olivia won a free trip to England on the Johnny O'Keef show, partner Pat Carrol followed. In those days synchronous pre-recorded sound with the performer miming was a technical nightmare especially if 240 volt mains power was not available. On location a 16mm magnetic replay machine was connected through an amplifier to a speaker for the performer to hear the replay and mime the song. studio, then taken to the film department and transferred to 16mm magnetic recording film. The 16mm player had synchronous motors, which means they run a constant speed to the 50 cycles per second mains frequency. The 16mm film camera was also fitted with a synchronous 50c/s motor. When connected to the mains power the system worked perfectly, resulting in the film and sound being in perfect sync. In those days generators were not very stable an could run up to 20% fast or slow resulting in the replay sound being very fast or slow, making it very difficult for the performer to mime. The only answer the HSV technical department could come up with was a Hot Water Urn, full of water, attached to the generator. The generator speed could be adjusted buy changing the heat settings on the urn. Off for full speed, low, medium or high to slow the sound down. The performers worked under great difficulty, with the sound speed changing and trying to hear the replay over the sound of the noisy generator. portable than the original set up and ran on dry batteries. The machine recorded a Pilot Tone from the camera motor which allowed for perfect frame synchronization when dubbed to 16mm magnetic tape.